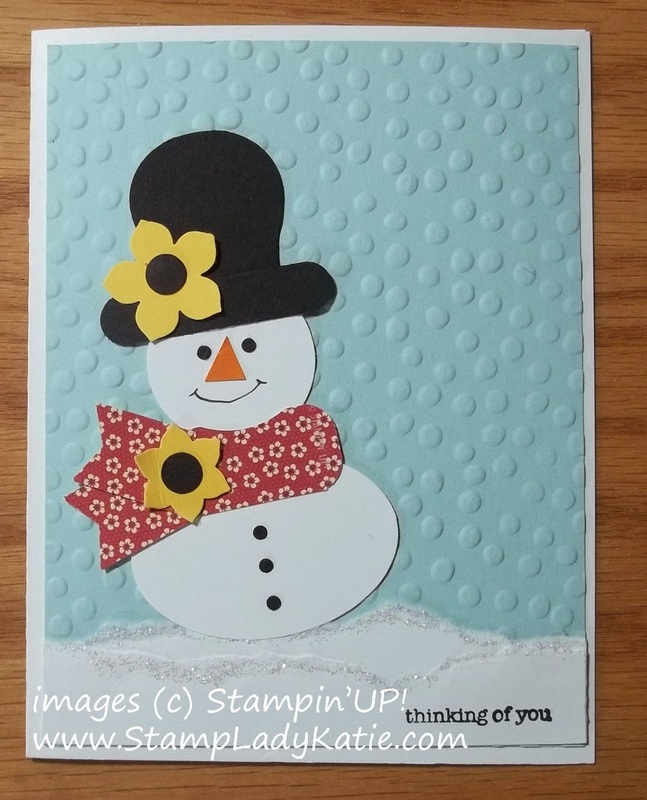 Looking for ideas for a cute winter card? Here's an easy Punch Art Snowman. 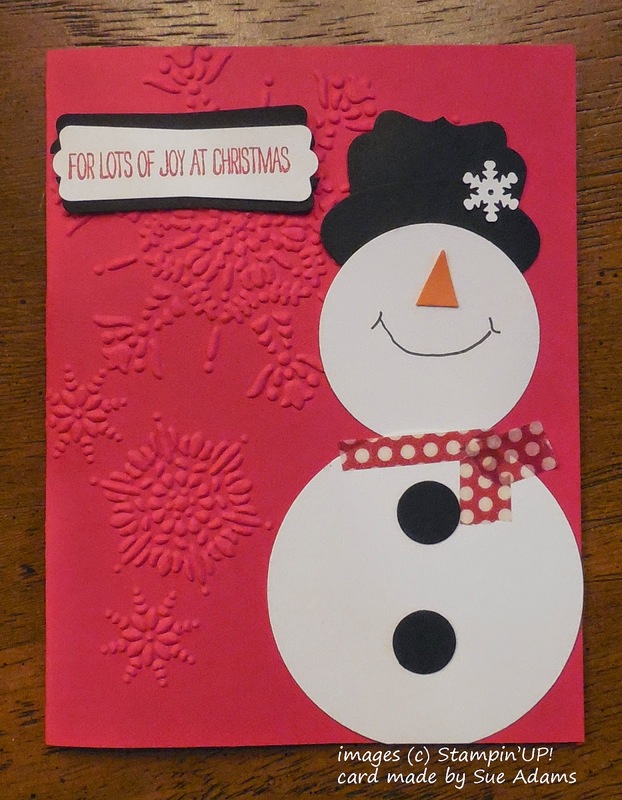 to create the textured snowflakes in the background. Sue punched his cute curvy top hat using the end of the Decorative Label punch - don't you just love the scallop corners? The perfectly curved brim of the hat is the Large Oval punch. See how the 3 pieces are layered? 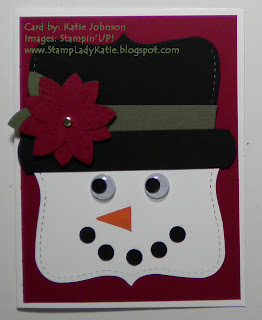 Punch Art is such a quick easy way to make a really cute focal point on a card. For the perfect winter decoration use a Snowflake Sequin from the Frosted Sequins pack. Sue used Washi Tape for the Scarf . . . now that's just brilliant. There are lots of colors and patterns to choose from and Washi Tape is so easy, just tear it off and stick it on your project. 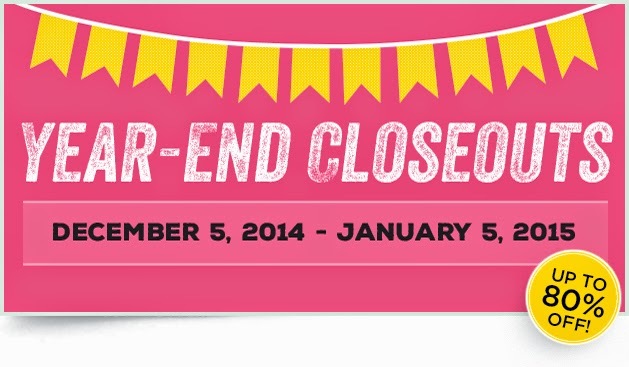 you can see your Washi Tape choices here. 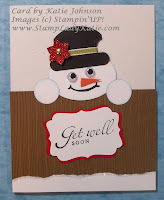 These pictures are links to other Punch Art snowmen ideas. Click the picture to see the post.